The full course is 37 minutes long and available in a number of affordable formats. The point of operation is where the main function of the machine takes place and the material is cut, shaped, drilled, or otherwise formed. The primary role of a machine guard is to prevent people from coming into contact with a machine's hazardous moving parts. 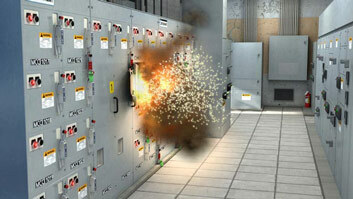 This online machine guarding training video covers the importance of having industrial machine hazards properly guarded and protected against. 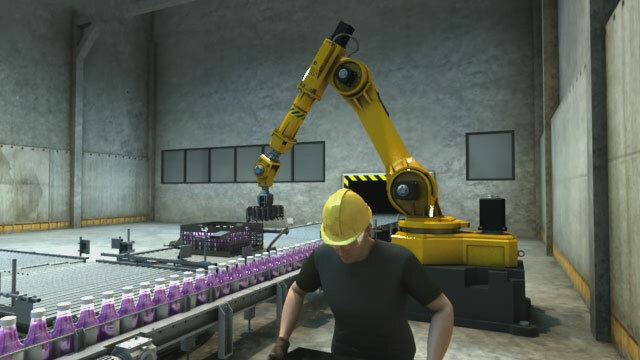 The course is aligned with OSHA General Industry standards and industry best practices and is meant to be used as an introductory or refresher course for general industry workers who will be operating or working near industrial machinery. Finally a Comprehensive Machine Guarding Course!!! Yes, they're very common and frequently result in serious injuries and deaths. What are some common machine hazards? In general, any moving part can harm you. In particular, nip points (also called pinch points), rotating parts, nip points between rotating parts, back-and-forth machine movement, blades, and more. What is the point of operation? 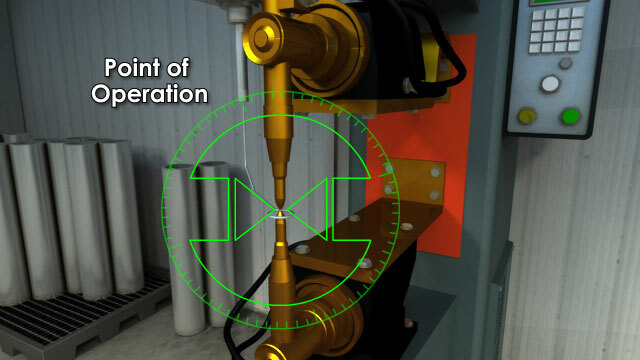 Where the machine operation "takes place" and therefore frequently the most dangerous part of the machine. What are common mistakes that lead to injuries? 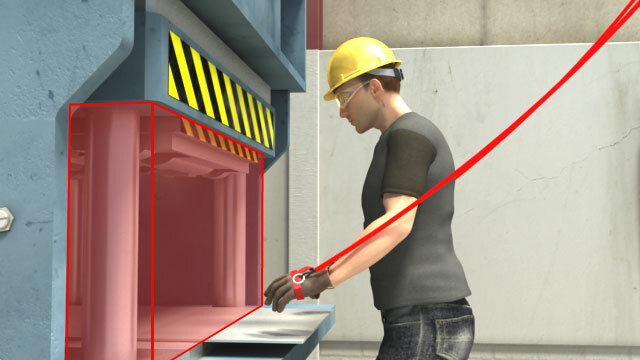 Reaching into the machine, failing to lockout/tagout machine properly, working on a machine without authorization, and using a machine with missing or loose guarding. What are requirements of machine guarding? Must be secure, must protect machine from dropped objects, must create no new hazards, must not interfere with operation of machine, and must allow safe lubrication. What are the types of machine guarding? 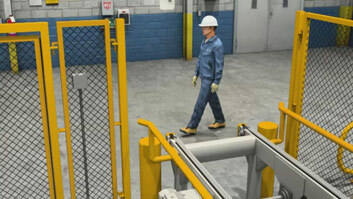 Three main types are barrier guards (such as shields and fences), devices (such as a light sensor that shuts off a machine if a worker enters a hazardous area), and location/distance (when machine is positioned in place operator cannot reach/access. What are some types of barrier guards? Fixed, interlocking, adjustable, and self-adjusting. What are some types of devices? Presence-sensing, mats, light curtains, drop-probes, trip wires, safety edges, two-hand controls, two-hand trips restraints, and pullbacks. What are feeding devices and holding tools? 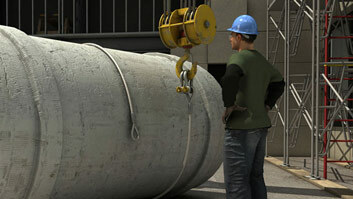 Devices that allow an operator to feed material into a machine or handle materials within a machine while reducing the level of hazards (though guards may still be needed in combination). What is an emergency stop? Buttons that immediately shut down a machine. Use these only to prevent an emergency or in the event of an emergency. What should a worker do before maintaining a machine? Turn the motion disconnect to off (if there is one) and lockout/tagout the machine. Any tips on loose clothing and jewelry? Don't wear anything that can get caught in a moving part of a machine-this includes loose clothing and jewelry, long hair, unbuttoned shirts, unlaced shoe strings, and more. Hazards that machine(s) they work with presents, dangers tht machine guarding protects against, how machine guarding is set up and used, and more. Chances are you've never been seriously injured by a machine. You may not even know anyone who's been seriously hurt by a machine. But machine accidents happens all the time. 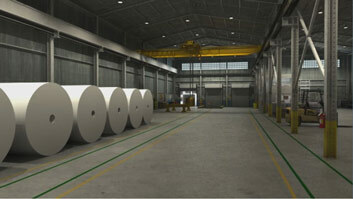 In the U.S., it's estimated there are around 15,000 machine accidents each year. 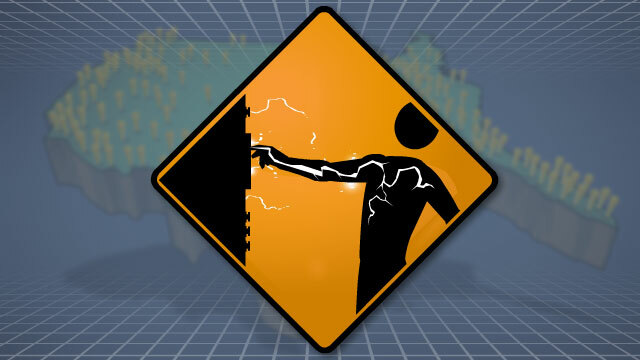 These accidents result in horrible injuries like crushing of a body part, amputation, electric shock, and blindness. There are hundreds of workplace fatalities every year caused by machines. If you work around machinery, you shouldn't take your safety for granted. Many machine accidents are due to faulty or missing machine guarding or to workers taking shortcuts to get around the machine guarding. It's important to remember that machine guarding is there for your safety. 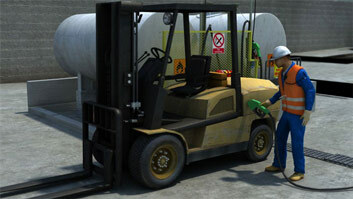 This course will teach you the common types of machine guarding and the best practices for working safely with them.